The seven police officers who were indicted in Baltimore for a host of corruption charges would routinely turn off their body cameras when they were allegedly committing a range of crimes against civilians, according to a new report. Witnesses have come forward with claims of being victimized by the officers who were all part of the Baltimore Police Department Gun Trace Task Force. Some of the crimes alleged against the indicted officers — Sgt. Wayne Jenkins and Detectives Momodu Gondo, Evodio Hendrix, Daniel Hersl, Jemell Rayam, Marcus Taylor and maurice Ward — included robbing people of cash and jewelry, the Associated Press reported. The indictments of the policemen threw into question the status of any of the hundreds of arrests and multiple open cases from those arrests, defense attorneys said. "First, to make sure anyone with an open case — if they're incarcerated or if they're on the street and their lives have been on hold — there could be false allegations," Baltimore deputy public defender Natalie Finegar told the Associated Press. "Then, there are cases we've just recently handled while the investigation was ongoing, and there's substantial, credible evidence that these officers shouldn't have been allowed to testify and represent the police department." In another example of the policemen's alleged crimes, four of them "conducted a traffic stop and arrested O.S. They also took his keys and looked at his license. They then entered O.S's residence (and) stole money, including $200,000 from a safe they opened," part of the formal indictment read. Many of the witnesses are scared for their lives, according to Assistant U.S. Attorney Leo Wise, who was taking the lead on the case. The "overwhelming" evidence, as Wise called it, included wire tapped recordings on phones and police vehicles as well as GPS data that showed the indicted officers were at the scenes of the various alleged crimes, the Baltimore Sun reported. 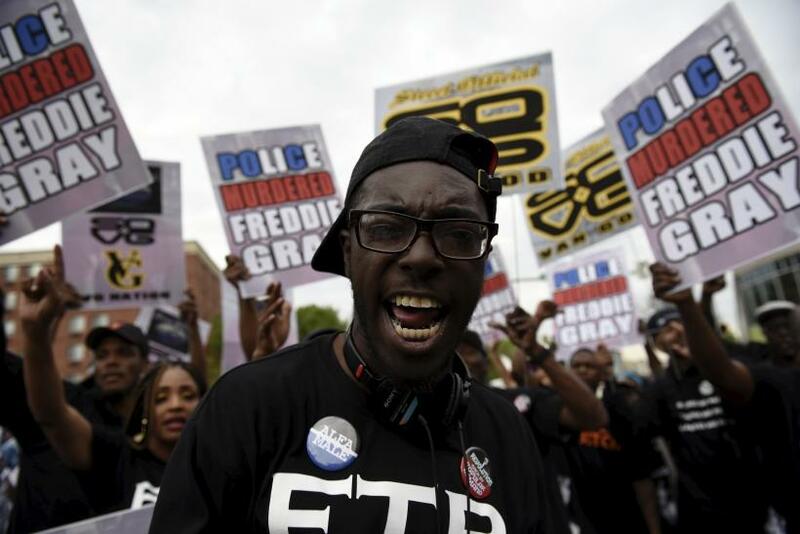 The indictments came just about one month after the Department of Justice pledged to reform the Baltimore Police Department and nearly two years after Freddie Gray was found dead while in police custody following a violent arrest for being in possession of a pen knife. Six officers were indicted in the Gray case, only for their cases to end in mistrials. The city's murder rate also soared to a record high last year. There were 26,556 citizen complaints against police filed in 2002, according to data released by the Bureau of Justice Statistics in 2006. About 8 percent of those complaints resulted in disciplinary action.